Maggie has had an exceptional show career. She has earned 25 titles and several more are nearly complete. 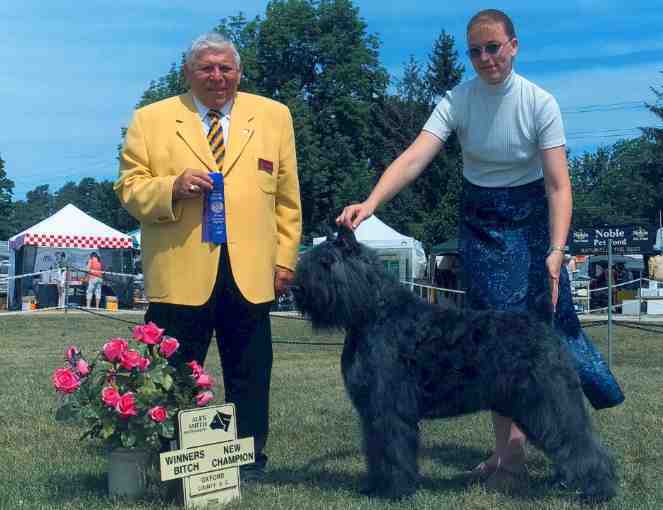 In July 2002, Lee Ann attended the Sarnia Kennel Club, the Blue Water Kennel Club and Oxford Kennel Club dog shows. 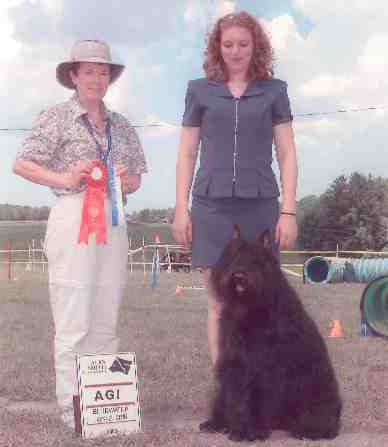 In those 10 days of shows, Maggie earned her Canadian Championship and Canadian CD. 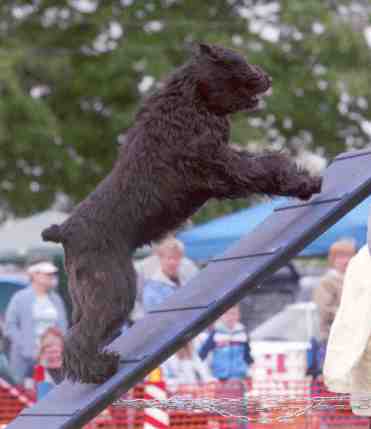 In July 2005, Maggie earned her Canadian Agility Novice and Canadian Agility Intermediate titles. 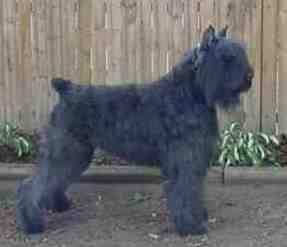 In 2002, Maggie was ranked #1 Bouvier in the United Kennel Club. 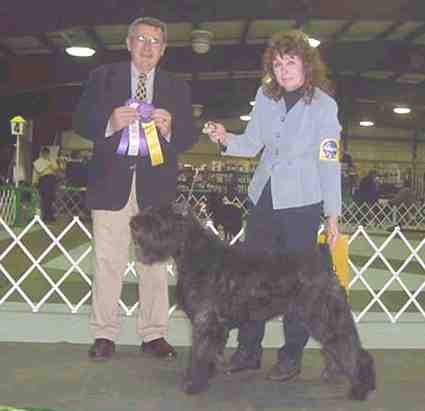 At the Top Ten Invitational, she won Best of Breed to earn the Honor of Top Bouvier for 2002! In 2003, Maggie was ranked #4 Bouvier in the United Kennel Club. In 2004, Maggie was ranked #3 Bouvier in the United Kennel Club. 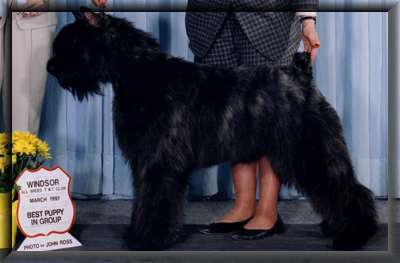 At the Top Ten Invitational, she won Best of Breed to earn the Honor of Top Bouvier for 2004! In 2005, Maggie earned her first UKC TOTAL DOG Award... she won Best of Breed in Conformation and earned a score of 195 in her Agility Class. but Lee Ann never registred her as a therapy dog. Maggie's Mother has also had a wonderful show career. Best Puppy in Group win! In 2001 Darla was ranked #8, with her son Slater at #2 and daughter Xena at #3. In 2002 Darla was ranked #4 with her daughter Maggie at #1 and daughter Xena at #2. Darla is co-owned by Judith Allen with Shirley and Leo Spence of Sarnia, Ontario. Darla is currently spending her retirement years as a wonderful companion dog, enjoying afternoon naps and walks in the park chasing squirrels.